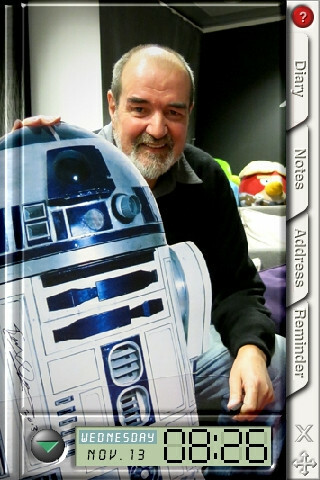 Tony Dyson - Man Behind Star Wars R2-D2! Unless you're an alien from a galaxy far, far away, you surely know Star Wars R2-D2, most popular and beloved robot ever featured in a movie. Now it's time to meet his creator, Professor Tony Dyson! 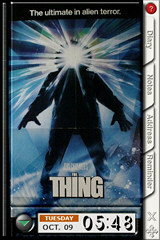 We created a special release of EasyNoter featuring Tony Dyson and R2-D2 on it's covers. Inner pages include additional information about Tony's other achievements. Oh, if you didn't know, you can book him for your events, either in person or online. You'll find all the information about how to contact Tony within his EasyNoter. Our dear friend Tony Dyson passed away on March 4, 2016 at his home on the Maltese island of Gozo. He was 68. Tony was a long time user of EasyNoter. He got in touch with us regarding some ideas back in times around the turn of the century. We worked with him on several projects. We became close friends, consulting each other on a daily basis and eventually started collaborating on a charitable project based on The MineSweeper game only last year. Tony was Executive Producer for the game, still unfinished, with a now uncertain future. In December 2014, we created this special version of EasyNoter that Tony used to give away as a gift to his website visitors. We decided to republish the software, paying tribute to our friend. 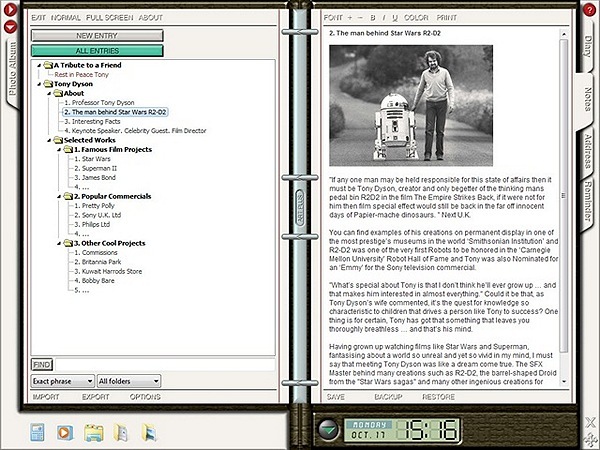 It's the same EasyNoter that Tony distributed, with the same cover page with Tony and R2-D2, as well as articles about his biography and selected works, with the exception of this article, and edited (now obsolete) contact information.